Vatican City, Jun 7, 2017 / 06:01 am (CNA/EWTN News).- There are many things about Saint Mother Teresa of Calcutta that could be called heroic – her tireless service to the world's most rejected and her courageous witness to millions of what it is to live the Gospel, just to name a couple. “The single most heroic thing is exactly her darkness. That pure living, that pure, naked faith,” Fr. Brian Kolodiejchuk, the postulator for Mother Teresa's canonization cause, told CNA in an interview. Fr. Kolodiejchuk is a priest of the Missionaries of Charity Fathers, founded by Mother Teresa in 1989. By undergoing the depth and duration of the desolation she experienced and doing everything that she did for others in spite of it, “that's really very heroic,” he said. Born Agnes Gonxha Bojaxhiu Aug. 26, 1910 in Skopje, in what is now Macedonia, Mother Teresa joined the Sisters of Loretto at the age of 17, but later left after she felt what she called “an order” from God to leave the convent and to live among the poor. She went on to found several communities of both active and contemplative Missionaries of Charity, which include religious sisters, brothers, and priests. The first community of active sisters was founded in 1950. An order of active brothers was founded nearly 20 years later in 1968. Then two contemplative orders came, one of women (in 1976) and one of men (in 1979). In 1989 the Missionaries of Charity Fathers was established, and is a clerical religious institute of diocesan right whose members make promises of poverty, chastity, obedience, and wholehearted and free service to the poorest of the poor. Additionally, an order of lay missionaries was also founded in 1984, and several movements who organize various works of charity have also been born as part of the Missionaries of Charity spiritual family. One of the first steps in declaring someone a saint is to determine their heroic virtue. Fr. Kolodiejchuk said that Mother Teresa's entire life was lived heroically, which was clear from what he had seen firsthand and heard from the testimonies of others, even though he himself has only been a part of the Missionaries of Charity family for 20 years. He said the most heroic aspect of Mother Teresa's life and vocation is the more than 50 years of darkness and abandonment she felt after receiving what she termed “a call within a call” to leave the Sisters of Loretto and found the Missionaries of Charity. Although the Albanian nun is always seen beaming and smiling brightly in photos, she experienced a profound internal desolation during which she felt silence and rejection from God, who seemed distant. “Love – the word – it brings nothing. I am told God lives in me – and yet the reality of darkness and coldness and emptiness is so great that nothing touches my soul,” she said. 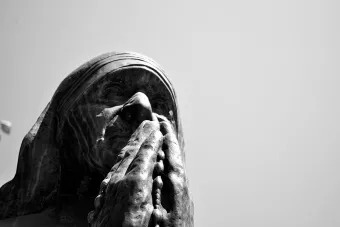 Mother Teresa had prayed fervently to share in Jesus’ suffering, and many, including her spiritual director, believed her feelings of rejection and abandonment to be a mirror of Christ's own experience of loneliness and desolation during his Passion and death. Because of the depth and duration of Mother Teresa's spiritual desert, many have hailed her as a great mystic when it comes to topic of spiritual darkness. The priest had met Mother Teresa in his early 20s while attending the vows of his sister, who had joined the active branch of the Missionaries of Charity sisters. He joined the order of priests a year later. A lot of people “think that saints are somewhere in the mystical clouds,” he said, but cautioned that this wasn’t true of Mother Teresa, who was spiritual, but also observant and active in the lives of others. From the first moment he met her, of Mother Teresa's most distinguishing qualities was “this sense that she really was Mother,” he said, explaining that being a mother was something important to her, and was the only thing she was ever called. The nun also placed a heavy emphasis on God’s tenderness, Fr. Kolodiejchuk said, recalling that “tender” was one of her favorite words – even more so than mercy. The priest said that her canonization during the Jubilee of Mercy was providential since the core mission of the Missionaries of Charity is to respond to Chapter 25 in the Gospel of Matthew, which lists the works of mercy. He noted how the day of Mother Teresa’s canonization also marked a special jubilee day for workers and volunteers of mercy. Given the work the Missionaries of Charity do, “it’s appropriate” that the nun would become a patroness for all who carry out the same type of activities, he said. Part of the reason Mother Teresa is such a strong example for the world today, Fr. Kolodiejchuk believes, is because “people like to see,” and the work the Missionaries do is something visible that others can easily touch and participate in, no matter what religion they profess. “Mother was a great believer in that we receive in giving. So there’s something attractive about the work. And then you receive by sharing in it,” he said. This article was originally published on CNA April 4, 2016. Vatican City, Sep 4, 2017 / 09:18 am (CNA/EWTN News).- On Monday Pope Francis told youth to steer clear of modern society’s narcissistic tendencies, which he referred to as a vain “illness.” He said they should instead concentrate on helping others and on developing a healthy ability to laugh at oneself. “This culture that we live in, which is very selfish, (always) looking at yourself, has a very strong dose of narcissism, (of) contemplating oneself and ignoring others,” the Pope said Sept. 4. Pope Francis spoke off-the-cuff in Spanish to members of the Catholic Shalom Community during an audience in the Vatican’s Paul VI Hall. The Community is an ecclesial movement founded in 1982 with a charism focused on contemplation, unity and evangelizaiton. The group is on a Sept. 3-9 pilgrimage to Rome to celebrate the 35th anniversary of their foundation. As usual, Pope Francis was careful to take notes as he listened to various testimonies from the group, including from three youth who spoke about their experiences of loneliness, drugs, their search for God and their process of conversion. Juan, 26, from Santiago, Chile, shared his story about how he went from living without God and without hope as a youth, to finding meaning through prayer, evangelization and a sense of community. In light of his experience, he asked the Pope how youth can “radiate” mercy to a world marked by desperation and indifference. The second, Justine, who is 25 and from Spain, said she was baptized during the Jubilee of Mercy. She recalled a commitment she made at the time to live her life for others, and asked Francis what he believes is the role and mission of young people in the Church. Finally, 22-year-old Matheus from Brazil shared his story of involvement with drugs before discovering the faith through missionaries and rehab. After sharing his story, the youth asked how he can find his vocation in order to respond to the salvation he was given. But simply talking about mercy isn’t enough, “we have to bear witness, share and teach by going out of ourselves.” Using a colloquial phrase, he said “we have to put the meat on the grill,” otherwise people won’t understand. “A young person who gets into themselves, who only lives for themselves, ends up in an ‘impassioned self-referentiality,’ full of self-referentiality,” he said, and told the youth present to foster a healthy sense of humor about themselves, so they become too attached. After passing through an experience of being “invisible” and then becoming aware again, Matheus became conscious of God’s plan, which is a plan “to console the pain of humanity,” Francis noted. Each person has to discern their vocation “in order to see what God wants of us in light of our vocation,” he said, and told participants to “give freely” of themselves and what they have received. “One of the challenges that the world asks of us today is the dialogue between youth and the elderly,” he said, telling participants that “I rely on your testimony” to carry this dialogue forward. Elderly, he said, are not meant “to be kept in the closet, to be kept hidden,” but are rather “hoping that a youth comes and speaks to them.” And youth, he said, must take the dreams of the elderly and “redeem” them. Vatican City, Nov 16, 2017 / 12:08 pm (CNA/EWTN News).- Pope Francis sent a message Thursday to a conference on climate change, telling participants the problem is something that can’t be ignored, but must be met with a proactive desire to develop effective solutions. “I would like to reiterate my urgent invitation to renew dialogue about the way in which we are building the future of the planet,” the Pope said Nov. 16. Pope Francis offered his words in a message to Frank Bainimarama, Prime Minister of Fiji, for the U.N. COP-23 Climate Change conference taking place Nov. 6-17 in Bonn, Germany, and which is being presided over by the government of Fiji. The Paris Agreement was an international climate accord reached in 2015 after representatives of more than 150 countries met for COP 21, or the United Nations Climate Change Conference. Signatories pledged on various levels to help reduce global carbon emissions and aim to keep global temperatures from rising more than two degrees Celsius, as compared to average temperatures from the pre-industrial age, by the end of the 21st century. 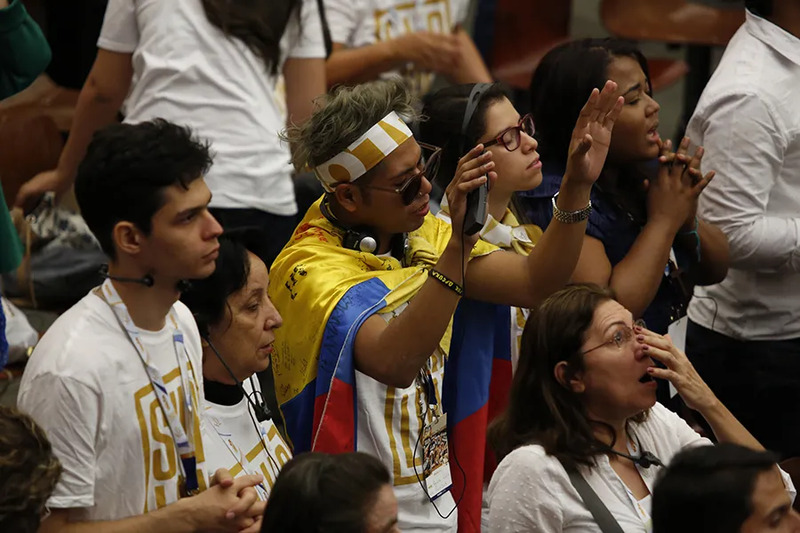 When the agreement was initially reached, Pope Francis hailed it as “historic” and said it would require “a concerted and generous commitment” from members of the international community. Over 190 countries have signed on to the agreement. However, United States President Donald Trump decided earlier this year to pull out of the accord, arguing that the requirements would harm the U.S. economy and jobs. In his message to the COP-23 conference, Pope Francis said the challenge of climate change requires the commitment of every country, some of whom “must try to assume a guiding role,” with due consideration for vulnerable populations. To this end, Francis emphasized the need to focus on an education and lifestyle that are based on an integral ecology capable of assuming “a vision of honest research and open dialogue” where the various aspects of the Paris Agreement are intertwined. The agreement, he said, calls for “serious responsibility to act without delay as freely as possible from political and economic pressures, overcoming particular interests and behaviors,” and requires a “responsible awareness” of our common home. 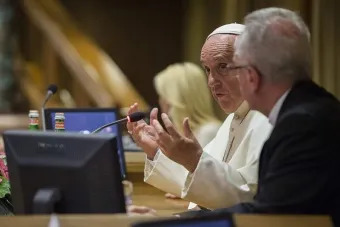 Pope Francis closed his message voicing his hope that the work done in the conference would be animated by the same “collaboration and proactive” spirit of the COP-21 conference in 2015. In August 2018, the Congregation for the Doctrine of the Faith issued a new draft of the catechism’s paragraph regarding capital punishment. Her darkness was profound and reserved by God only for those with the spiritual nobility of Mother Teresa. “The single most heroic thing is exactly her darkness. That pure living, that pure, naked faith,”. Fr. Brian Kolodiejchuk is correct. St John of the Cross speaks of this darkness that reaches beyond the Night of the Soul. He meant that after the soul advances to the height of contemplation it knows God sans consolation and in darkness. In the Living Flame of Love he speaks of blessed knowledge not knowing what. Sounds like an anomaly although it surpasses human reasoning. St Therese of Lisieux experienced similar prior to her death. It is the purest act of faith, the purest act of love by which God calls certain of His Elect to offer to Himself. The response from God is an overflow of merciful love upon Mankind.